Tonight, facing a Western Conference playoff team and a chance to get back to .500, the New York Knicks found themselves. In crunch-time, point guard Derrick Rose shined through. With just a little more than 3 minutes remaining, Rose hit a jumper to give the Knicks the lead. Then, with just 6.8 seconds to play, Rose clinched the game with another bucket, scoring 6 of his 18 points down the stretch. 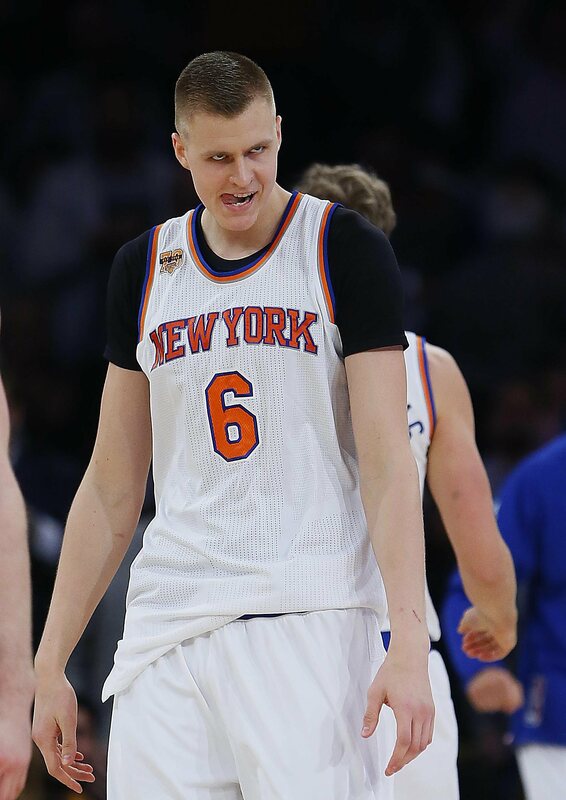 The real story of the night, however, was the Latvian God Kristaps Porzingis. Scoring 31 points and grabbing 9 rebounds, Kristpas once again proved why he is not only the future of the New York Knicks, but also of the entire NBA. Porzingis has been unstoppable over the last couple of weeks, starting with his 35 point explosion against the Detroit Pistons. Already possessing the offensive skill needed to be an elite player in this league, it is going to be so much fun to watch him progress over this full season. Especially as he balls out on nights like tonight. Porzingis was God's way of apologizing to Knicks fans for 15 years of Dolan. For the Blazers, Damian Lillard led the way with 22 points, and CJ McCollum added 16 points of his own. This was the Blazers first loss at Madison Square Garden since March 2012, before drafting Lillard. Knicks center Joakim Noah did not play tonight due to an illness, missing his second straight game. Not so ironically, the Knicks are 2-0 in his absence. I love what Noah can bring in terms of defense, intensity, and passion, but this team is incredibly more explosive with Porzingis at the 5, and Carmelo Anthony at the 4. With the win, the Knicks improve to 7-7 while the Blazers drop to 8-8. Next up for the Knicks are the Charlotte Hornets, who they will host on Friday night in the opener of a home-and-home series.